We can explore the issues, and learn from those who are different. But then, ultimately, we must take sides. The side of blessing or the side of curse. Commentators say the phrase from God, saying: “I set before you” indicates free will. It is our choice to make We need to determine, which is the path of blessing. 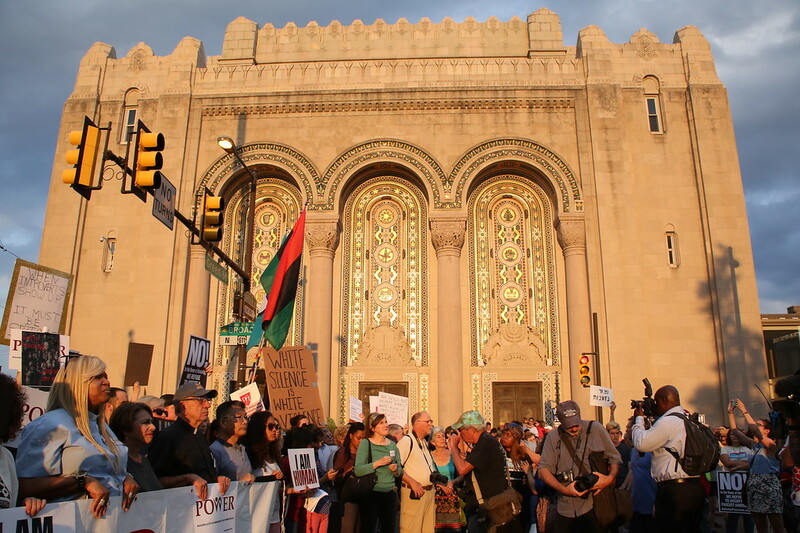 I’m filled with gratitude to have seen so many of you on Sunday at the “Vigil for Those Who Stood Against Hate in Charlottesville, and on Wednesday where Rabbi Freedman spoke so powerfully, at the “Philly is Charlottesville: Unmasking Racism” march. For when it comes to the anti-semitism and bigotry of white supremacy, the issue is not nuanced. We take sides. Hate does not require debate. For we have moral clarity, that we are all created in the image of God, and your presence this week has demonstrated moral leadership. You are currently browsing the BlogRS blog archives for the day Saturday, August 19th, 2017.